Like drinking champagne after a toast, having a Negroni during national Negroni Week (June 6–12) is your duty as a booze-drinking adult. Why? Because the week-long event seeks to raise money for various charities through every cocktail sold (last year’s tally was an impressive $320,000). Participating Miami restaurants (there’s about 119) will feature their own version of the Negroni (traditionally gin, Campari and vermouth) and designate a charity to which to donate a portion of proceeds. Time is not on your side if you’re thinking of tackling all 119 spots before the close of Negroni Week, but you do have plenty of opportunities to drink up our top five favorites. 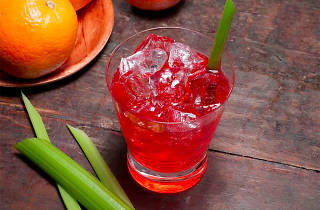 Radio’s Negroni infuses two of three of the cocktail’s ingredients: Earl Grey tea in the vermouth and sweet Florida oranges into the otherwise bitter Campari. Benefits: Empowered Youth, a local organization that works with inner-city, at-risk teenage boys, ages 12 to 17. Presentation is what we love most about Hakkasan’s Negroni, featuring a Grand Marnier infusion that’s smoked to order. The result? A sweet, aromatic drink that hits all your senses. Benefits: Both a good recruitment strategy and a good deed, Hakkasan is donating a portion of proceeds to Florida International University’s Chaplin School of Hospitality & Tourism Management. Anything you order at the Regent Cocktail Club is meticulously stirred or vigorously shaken to perfection, so why mess with a good thing? This week, the bar is serving up their classic Negronis for just $10—a bargain for this South Beach hotspot. Benefits: K9 for Kids is an organization that trains service dogs to help children with autism. 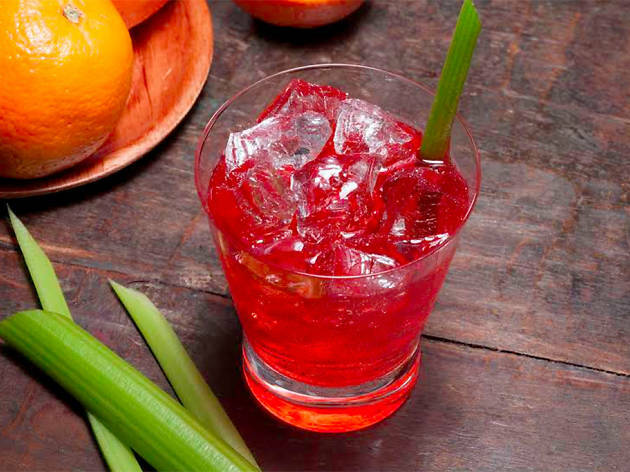 Now here’s a brunch-worthy spin on the classic Negroni. The Anderson’s spiced up version with Rutte celery gin and fleur de sel solution subs in perfectly for your standard bloody Mary and offers a richer, earthier-tasting cocktail. Benefits: The Cat Network, a local organization helping curb the overpopulation of stray cats in South Florida by offering low-cost sterilizations and vaccinations. Miamians love their rum—blame it on our proximity to the Caribbean or the throngs of islanders who now call Miami home. To keep things local, the Nautilus switched up the traditional recipe, swapping the gin for barrel-aged rum as the lead spirit. Benefits: Drinks here help our neighbors to the north by way of the Giving Kitchen—which provides emergency assistance grants for Atlanta-area restaurant workers facing sudden hardship.